Our Shelf Stability Predictor provides a set of models for predicting the growth of Listeria monocytogenes (LM) and Staphylococcus aureus (SA) on Ready-To-Eat meat products as a function of pH and water activity. Use these tools to help you decide if your product is shelf stable. Will not support the growth of Staphylococcus aureus (Staph). A shelf-stable product may be packaged under vacuum, a modified atmosphere (MAP), or may be packaged under air. The predictor will indicate the probability of L. monocytogenes and S. aureus growth on this product, on a scale of 0 = growth very unlikely to 1 = growth very likely. 1To use the Listeria tool, the pH must be between 4.5 and 6.5. The water activity must be between 0.47 and 0.98. To use the Staph tool, the pH must be between 4.4 and 6.6. The water activity must be between 0.68 and 0.98. If the pH or water activity value for your product is too high — do not use these tools. If either value for your product is too low — enter the minimum value and then use the tools. 2A probability value between 0.21 and 0.80 indicates that your product should be specifically tested in a challenge study to determine whether L. monocytogenes and/or S. aureus can grow on it. 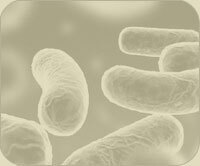 To have a challenge study done, contact a microbiological testing lab. For many years, processors used USDA labeling standards as a guide for deciding whether a Ready-To-Eat (RTE) meat product is shelf-stable. For example, if beef jerky had a Moisture:Protein Ratio (MPR) of 0.75 or lower, it was considered shelf-stable. It is no longer USDA policy to accept this reasoning. Processors must evaluate their product in terms of properties like pH and water activity to determine whether an RTE product is shelf-stable. The pathogens most likely to grow on dried and/or acidified RTE products are toxin-producing molds, Staphylococcus aureus, and Listeria monocytogenes. Mold growth can be effectively prevented by vacuum-packaging, low-oxygen modified atmosphere packaging, or by adding oxygen scavengers to the packaged product. You should use one of these types of packaging for any product in order to prevent mold growth on your product. Ingham, S.C., D.L. Borneman, C.Ane, and B.H. Ingham. 2010. Predicting Growth / No-Growth of Listeria monocytogenes on Vacuum-Packaged Ready-To-Eat Meats. Journal of Food Protection. 73: 708-714. Click HERE for a copy of this paper. Borneman, D.L., S.C. Ingham, and C. Ane. 2009. Predicting Growth / No-Growth of Staphylococcus aureus on Vacuum-Packaged Ready-To-Eat Meats. Journal of Food Protection. 72: 539-548. Click HERE for a copy of this paper. Evidence supports the use of this Predictor for products stored under air: "The growth of L. monocytogenes is little affected by gaseous atmosphere (p.145)." "S. aureus grows both aerobically and anaerobically." Survival of S. aureus may be improved under anaerobic conditions, suggesting that aerobic storage is preferable for safety (p.302). The reference which supports aerobic storage of products is HERE.